I’m a Muslim from Indonesia, and I’m currently living in Yokohama. I really love this city. Of course, the people are very kind to me. There are many tourist spots, and I will tell you you about all the things here that I love. In particular, I will try looking for places like halal restaurants and prayer spaces. So, Muslim tourists, relax and enjoy your trip to Yokohama. Born and raised in Indonesia, became interested in Japan and decided to study Japanese language in the University. Came to Yokohama as an international student in 2014. I want to share some good news with you. Since last September, a prayer room has been available on the 6th floor of Yokohama World Porters. They also provide prayer mats and a Qibla compass. You must first go to the reception desk on the 2nd floor to fill out some forms, and receive a code number to access the room. In addition, a washing facility for Wudhu’ is also available. Be advised that you must keep clean when you use the washing facility. I feel so happy and touched, because this is the first time I’ve seen a large prayer room at a Mall in Yokohama. Yokohama World Porters is also near the Cup Noodle Museum and Yokohama Cosmo World. So, you don’t have to worry anymore about looking for a prayer room while visiting Yokohama. Looking for accomodations when you visit Yokohama? The easiest way is to look for and stay at a hotel. But, some of you may want accomodations with a nice view, an affordable price, or to be able to meet new people, right?. If so, when you travel to Yokohama, why don’t you try staying at Sakura Garden Guest House? Sakura Garden Guest House is located in Kamiooka (a subcity of Yokohama). Kamiooka Station is about 10 minutes by train from Yokohama Station. This guest house has a nice view and Japanese style rooms. Plus, you can have a BBQ and meet new friends. It has 6 private rooms, free internet, full furnishings and much more. Sankeien Garden is a Japanese-style garden designed by Mr. Sankei Hara. Sankeien contains many historical houses and buildings from places across Japan, such as Kyoto and Kamakura. This garden is extremely beautiful and very relaxing. You can also enjoy some Japanese green tea made by master tea makers. Not only that, you can also make Japanese green tea in a hands-on workshop. 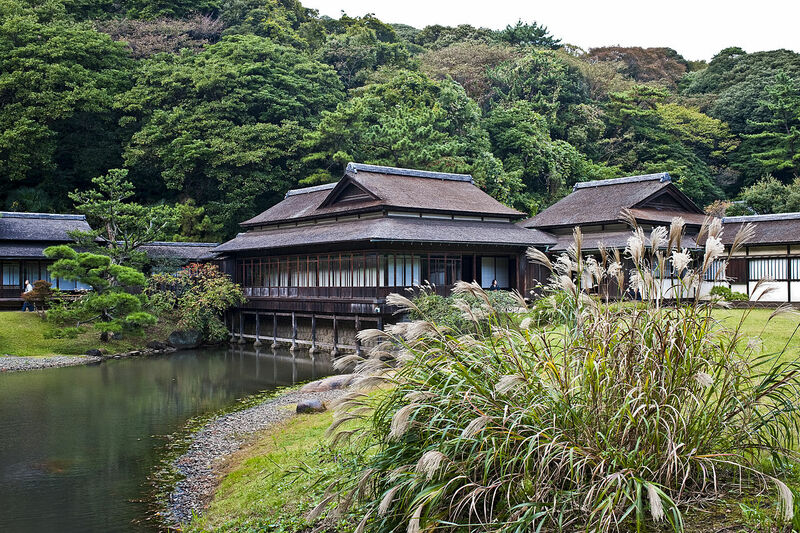 If you want to escape from crowded city life, why not visit Sankeien for some relaxation? Sankeien is one of the most famous destinations in Yokohama, so don’t forget to add it to your list! Al Ain Restaurant is the very first Arabic restaurant in Yokohama offering Middle Eastern cuisine and belly dance performances. The chef was a veteran for many years at the Kuwait Embassy. It has various menu items like hummus (paste), falafel (Arabian Pastry), kebab, and many more. Moslem visitors don’t need to worry, because all menu items are HALAL. This restaurant has many Moslem visitors every day who visit and enjoy the delicious food. Personally, I really like falafel and kapsa. Also, I recommend that you call ahead for reservations. Belly dancing performances are held on Fridays and Saturdays, so the restaurant may be fully booked. So, Moslem visitors, there’s no need to worry when you travel to Yokohama, because you can find halal food, especially at this restaurant. I love cup noodles. How about you? Do you know about the history of cup noodles? If you’re curious, then visit the Cupnoodles Museum. Here, you can learn all about the history of cup noodles. With cutting-edge technology and superb displays, you can learn and have fun at this museum. You can also enjoy noodles from around the world. The explanations are all in Japanese, but don’t worry, because you can use a translation guide (it looks like a walkie-talkie), which is available at the front office. Another interesting point is that you can make your own cup noodles and even choose your toppings. Also, you can design your cup noodles package. But note that for Muslim brothers and sisters, we may not be able to eat it (as it may contain pork and alcohol). But even if you can’t eat it, it could make a great souvenir. Delhi Dining has been serving HALAL Indian dishes since its opening in 2012. It’s located near Yokohama Stadium and Toyoko Inn Hotel. Personally, I really like the butter chicken curry and tandoori chicken. It is really delicious and a little bit spicy. For the lunch buffet, you only need 1,000 yen. So, what are you waiting for? Japan is famous for ramen, sakura and much more. But we can’t forget that japan is also famous for TEA, especially green tea. You can enjoy drinks or desserts made with green tea. Fortunately you can enjoy many variations of green tea at NANA’S GREEN TEA. You can find this café at the Yokohama Red Brick Warehouse and also at Yokohama MORE’S (near Yokohama Station). Some of their menu items are safe to enjoy for Muslims. For example, they have drinks like Matcha Cream, Latte, Matcha Macchiato, Soft Cream Shiruko. For sweets and food, try the Warabi Mochi or Onigiri Set. The Donburi Set contains alcohol, so please avoid it. One of the things to do when you visit Yokohama is try to ride the SEA BASS. The SEA BASS is a water bus which services the east exit of Yokohama Station, Minato Mirai 21, Yamashita Park and the Yokohama Red Brick Warehouse. Hours of operation are from 10:00 to 20:00. Release the stress and fatigue of your hectic life. 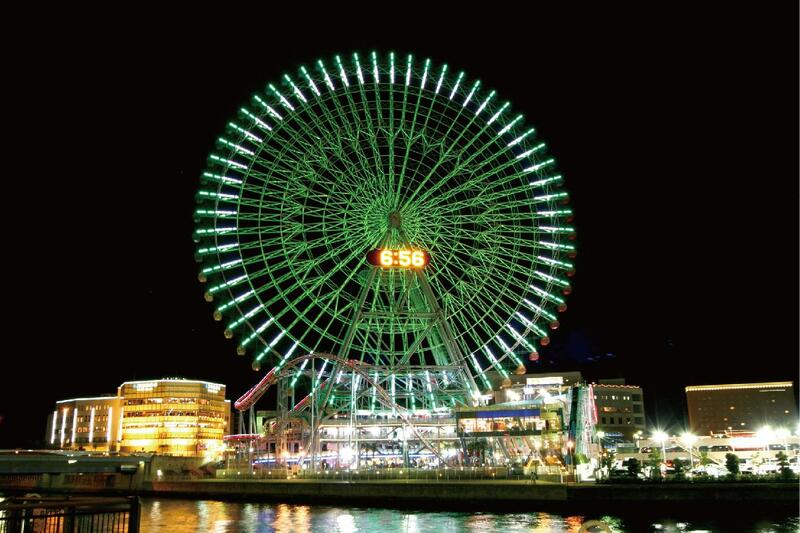 You can have some fun at YOKOHAMA COSMOWORLD. 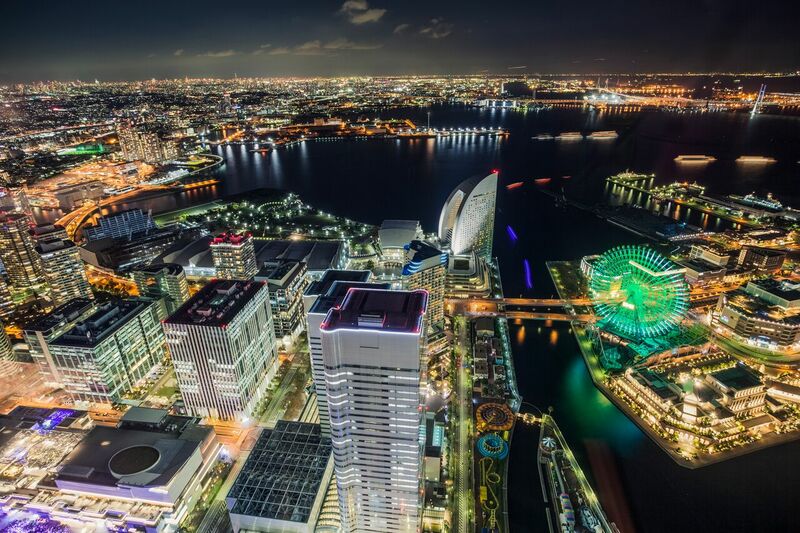 YOKOHAMA COSMOWORLD is located in the center of the Minato Mirai district. Unlike most amusement parks, YOKOHAMA COSMOWORLD has no entrance fee. The average fee per ride is between 300 and 500 yen. I think that’s cheap. The park is divided into three zones. One of the best rides is Cosmo Clock 21. You can see a beautiful view from the top. The best time to ride is at night. Don’t forget to try this ride when you visit. YOKOHAMA COSMOWORLD is easily accessible, and you can grab some food or perform prayers at Yokohama WORLD PORTERS. Shopping is the most fun thing to do when you are travelling. I have good news for my Muslim friends, especially for ladies. You can find traditional Yokohama-style hijabs at Yokohama Takashimaya. They are located on the 7th floor. Their patterns are very beautiful, and I think they would be good for wearing yourself or for giving as presents. Yokohama Takashimaya is very close to Yokohama Station, so don’t forget to check it out. A few weeks ago, my Japanese friend invited me to visit the Shin-Yokohama Raumen Museum. Actually, I was a bit worried about eating ramen in Japan because most ramen contains pork and alcohol. However, my worries were over; I found some vegetarian ramen which doesn’t have pork in it. This museum is very interesting because the theme is based on Japan about 50 to 60 years ago. You can find many varieties of ramen from around Japan and the world. I ate two types of vegetarian ramen at this museum. First, I had vegetarian ramen at an Italian restaurant. It was full of mushrooms and vegetables. The taste was good, and I really liked it. Then, I had vegetarian ramen from Kumamoto Prefecture. At first glance, you may think that it’s tonkotsu (pork) ramen, but Muslims don’t have to worry because it is made from soybeans. It was delicious and I want to eat it again when I go there next time. Oh, the most important point is that you can also find a prayer space at this museum. Just ask the staff, and they will guide you to the room where you can pray. Not only that, they also provide you with a prayer mat and Qibla compass. I am very touched, because everything is made easier for Muslim tourists in Japan. YOKOHAMA COSMOWORLD is easily accessible, and you can grab some food or perform prayers at Yokohama WORLD PORTERS. Looking for a free place to visit when you come to Yokohama? Then check out Nogeyama Zoo. Actually, it’s not a very big place, but I truly love it. You can take your time and relax while watching many kinds of animals. You can even try feeding them. There are also many events held here. It’s really fun. Oh, and I suggest trying a photo booth for a souvenir of your visit. For just 500 yen, you get a cute photo postcard. The zoo is just 15 minutes by foot from Sakuragicho Station, or you can take bus No. 103 (to Negishi) from Yokohama Station. Are you a history fan? Then you should explore the Yokohama Port Museum and Nippon Maru. You’ll find many displays about ships and history here. And don’t forget to try a ship navigation simulator (my favorite part of the Yokohama Port Museum). If you clear the simulator, you receive a small certificate. The staff said to me that some people have failed, but I succeeded! YEAH! And don’t forget to buy some souvenirs at the museum shop. The museum is a 5-minute walk from Sakuragicho Station, and you can explore many other interesting places at the same time. Don’t forget to take pictures and capture many moments while you’re in Yokohama. Yokohama is known for many tourist spots like Chinatown. Japanese people also like to come here. 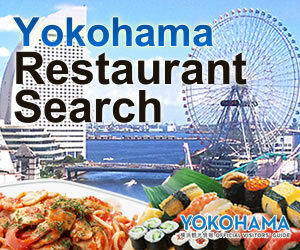 When you ask about famous places in Yokohama, the most common answer is “Yokohama Chukagai”. Unfortunately, I couldn’t find any halal souvenirs, but I did find a Chinese restaurant which had a vegetarian menu. I think it’s okay for Muslim people to eat, but the decision is yours. Finally, you can also visit Yamashita Park, which is near Motomachi Chukagai station. Yamashita Park is a famous travel spot in Yokohama. Whatever the season, this place has many beautiful views, such as a view of the ocean. It’s a good place to sit and relax. Not only that, the park also has many statues, such as “The Girl in Red Shoes”. At this park, you can walk around, take a picture, eat together with your friends or family, or do anything you like to release your stress. If you’re lucky, the park may be holding an event when you visit, such as a fireworks festival. Trust me, you must see it if you come to Yokohama in the summer. Until now, I’ve recommended many tourist spots in Yokohama, but are there any places that you want to visit? Actually, there are so many interesting places, but I can’t write about them all one by one. After all, it’s more interesting for all of you to explore and enjoy yourselves while visiting Yokohama. 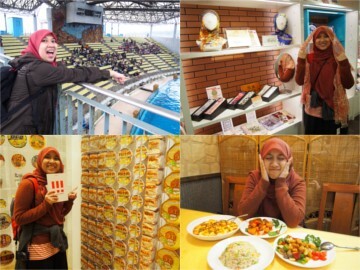 More and more halal food and souvenir shops will come to Yokohama, so check them out and share with us. Visiting Yokohama? Then don’t forget to add “Hakkeijima Sea Paradise” to your list. Hakkeijima Sea Paradise is an amusement park surrounded by nature. You can also enjoy many things like fishing, BBQ, or riding the many attractions. You can spend the whole day here with your friends or family. When I went there, I explored the aquarium first. It is so large and extremely beautiful. Hakkeijima Sea Paradise is also famous for its aquarium. I also saw a dolphin show, and it was very interesting. After that, I tried fishing, but I only caught one. Oh, but they have a BBQ restaurant where you can eat any fish that you catch. Especially for my Muslim brothers and sisters, I recommend that you try the BBQ restaurant. Don’t worry, because everything is seafood. Just be careful with the soy sauce, as it may contain alcohol.